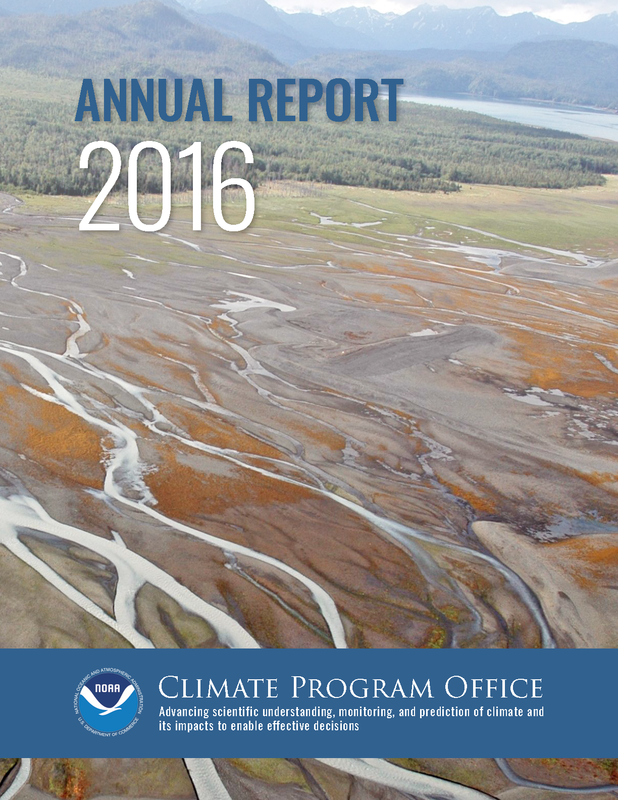 The Climate Program Office (CPO) manages competitive research programs in which NOAA funds high-priority climate science, assessments, decision support research, outreach, education, and capacity-building activities designed to advance our understanding of Earth’s climate system, and to foster the application of this knowledge in risk management and adaptation efforts. CPO-supported research is conducted in regions across the United States, at national and international scales, and globally. Why we exist: We advance scientific understanding, monitoring, and prediction of climate and its impacts to enable effective decisions. What we hope to achieve: People, businesses and the environment thriving in the face of climate impacts. 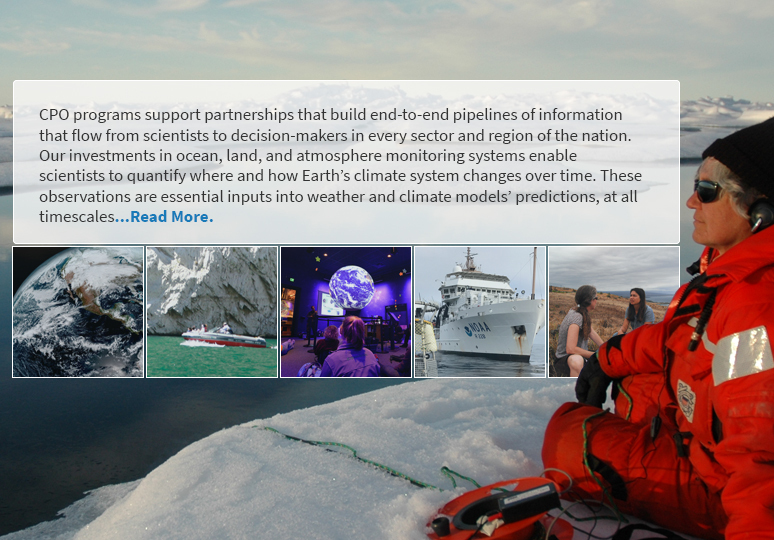 CPO's position at the intersection of NOAA’s science and service missions, the climate research community, and the broader climate enterprise enables it to lead a research agenda and forge partnerships that enhance society's ability to make effective decisions.